The Diamond District Partnership is a not for profit tax exempt organization that was formed in 1997 by the Diamond District’s merchants and landlords to enhance the economic development activities of New York’s Diamond District. The goal of the 47th Street Business Improvement District is to make the Diamond District safer, cleaner and more beautiful for merchants and consumers who work and shop in the Diamond District. The Diamond District Partnership’s programs are focused on supplemental sanitation and security services, maintenance of capital improvements and the promotion of the Diamond District’s merchants. The Diamond District Partnership sanitation program is one of the highest rated in the city and keeps the district free of excess debris. 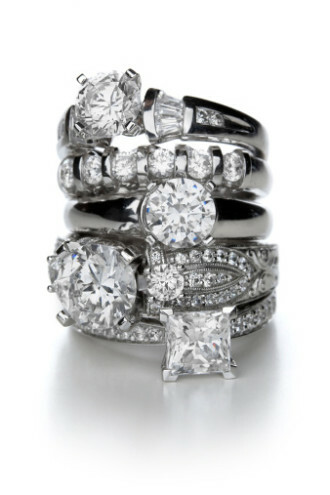 The development of a website (www.diamonddistrict.org ) that provides shoppers with information on purchasing jewelry and gives merchant referrals. A strong relationship with the New York City Police department which increases security in the Diamond District. If you would like more information about the Diamond District, please call (212) 302-5739. Merchants in the Diamond District sell diamonds of virtually every size, shape and quality. You can buy a loose (unset stone), a stone that is already set in jewelry or bring in your own stone and choose a setting from thousands of different styles. In addition to diamonds, you will find colored gemstones, pearls, gold jewelry, platinum jewelry, watches, antique and estate jewelry and lots of places that do jewelry repair, watch repair, engraving, pearl restringing and stone setting. Some jewelers in NYC Diamond District have their own shops like jewelry stores you’re probably used to. But most retailers have booths in the 25 jewelry “exchanges” scattered throughout the Diamond District. In each exchange, there are up to 100 separate independent jewelry businesses all under one roof. In most cities in America , you have to travel to the next mall down the road. In NYC’s Diamond District, you step five paces to your left or right and you will see a different jeweler with a totally different selection of items.